Lyrics of Har Ghoont Mein Swag by Badshah feat Tiger Shroff & Disha Patani is directed by Ahmed Khan. It is sung, composed and written by Badshah. 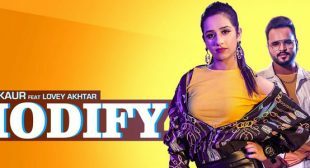 Modify by Gyan Kaur & Lovey Akhtar is Punjabi song written by Rav Hanjra. 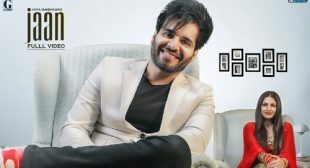 Music is given by Lovey Akhtar and video is directed by Prince 810. 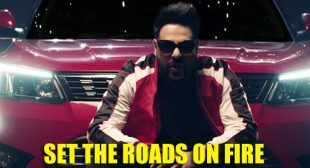 Lyrics of Set The Roads On Fire by Badshah feat Sonal Devraj is Mahindra XUV300 promotional song. It is sung, composed and written by Badshah. 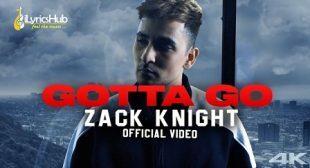 Gotta Go Lyrics – Zack Knight is latest Punjabi English song sung, written and composed by him. Get lyrics and music video of this song here. 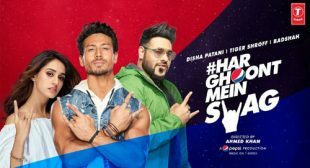 Har Ghoont Mein Swag Lyrics by Badshah featuring Tiger Shroff and Disha Patani, Directed by Ahmed Khan. 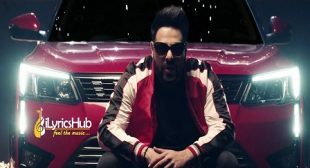 Its music and lyrics given by Badshah.